video from webcam and built-in microphone sound from the camera or the computer codes and sends them to the server from which it is already requesting remote viewers. In turn, different encoders differ from each other as a set of functions, and cost. Let’s get acquainted with some of them. Adobe Flash Media Live Encoder is a professional application that lets you make your recording and broadcasting live events in real time. Program can handle several different streams simultaneously and special functions allows live in a wide range. Through user-friendly interface, Adobe Flash Media Live Encoder full power is always at your fingertips. You can use your own settings after recording also easily configure settings for video and audio processing as desired. The application can record audio and video simultaneously. Make sure all the devices you need to do is active. 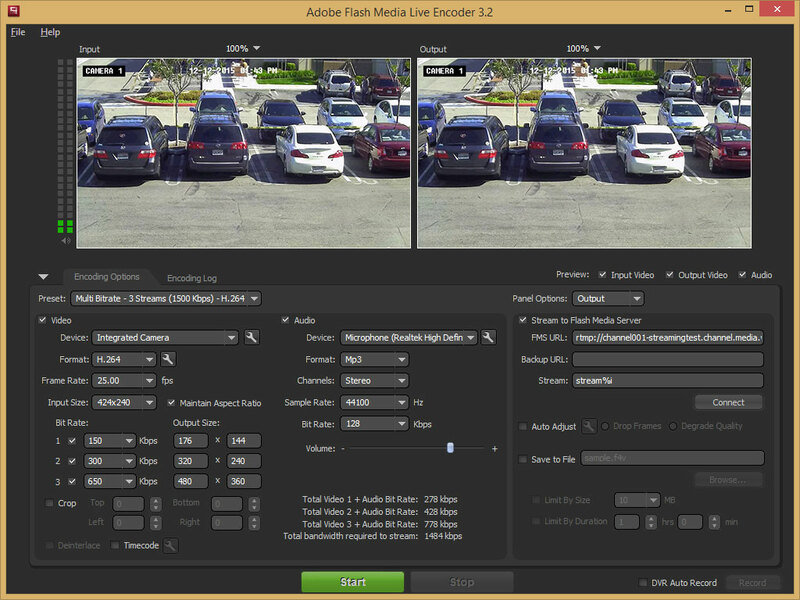 As a result, many more features in a relatively small package of Adobe Flash Media Live Encoder offers its users. Instant audio and video recording, if you are looking for a software to live broadcasting, you should try Adobe Flash Media Live Encoder. Wirecast is an easy and handy application for broadcasting. A single click allows you to easily prepare your workflow and publishing their own publications. Wirecast benefiting from QuickTime streaming architecture can easily reach multiple users. If you want to live the experience of a live broadcast with advanced features you need to stand out as one of the first attempts Wirecast software. Wirecast starting cost from $495 and WireCast Pro version upgrade cost is $ 995, go to page for compare versions, cost and details. 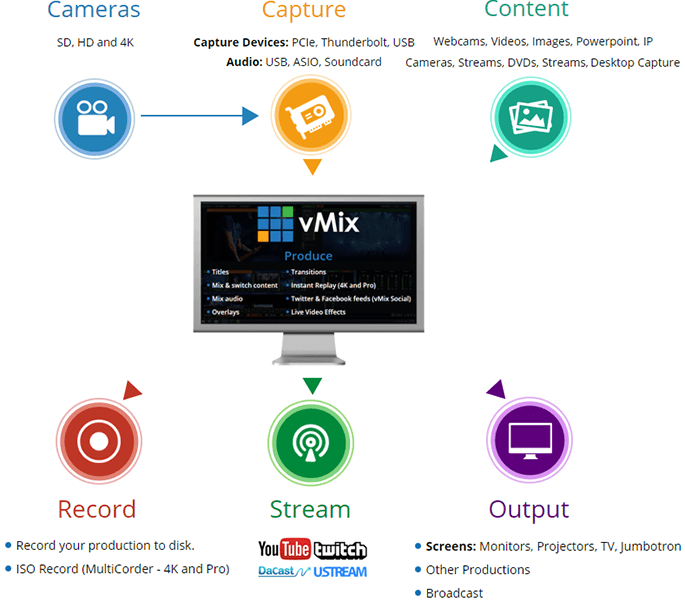 vMix is professional complete solution for live streaming. Supported 4K, HD and SD with all popular media formats AVI, MP4, H264, MPEG-2, WMV and QuickTime. You can use free version without any watermarks, vMix trial version working full functionality for 60 days. XSplit is very populer software free to use, also you can buy a licence for more features. Personel licence cost starting from $4,95/monthly. Free version works without watermarks under to 1080p resolution. Supports to popular services as YouTube, Twitch, Dailymotion, Justin.tv, Ustream. You have to register free to use. OBS, is completely free and open source software for live streaming and video recording. Increasing popularity begins to gain a freeware video encoder and stream recorder which has a relatively simple configuration interface and menus. Open Broadcaster uses modern codec H264 (x264) and AAC for audio for encoding, capable of sending streams for popular online services such as Twitch, YouTube, DailyMotion and others. Open Broadcaster can capture images from your desktop as well as the interface window.